Been dreaming of an unforgettable Hen or Stag Party? 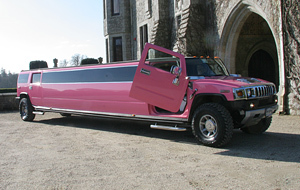 Do you want to go out in style and make sure your Hen or Stag Party the one everyone is talking about and make it stand out from the rest. 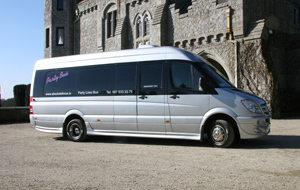 All you have to do is chill out and relax as Absolute Limos collects you in one of our Party Buses and whisks you off to your destination while you sit back enjoying a glass of champagne, beer or short whether it be a drop and collection to the country, airport or just a night out on the town. If you want to impress your friends, family or colleagues this is the way. 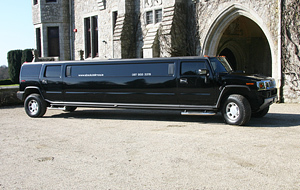 At Absolute Limousines we are proud to be Irelands number one Limo or Party Bus company. Absolute Limos introduced the Party Buses to Ireland and has taken the whole means of transport to the next level we have taken these buses and have transformed them to a Night Club on Wheels with everything from lasers, Lcd Screens, Karaoke, Surround Sound, Fibre optic Mirrored Ceiling, Cd & DvD Player. 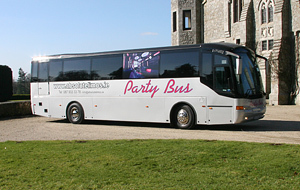 Don’t mix up so called party buses with ours as ours are Professionally built and built to the highest standard possible as you can see all on the website we have a full video inside and outside and this is what you will get on the night. We would suggest you come look at the bus or buses and are more than welcome to visit our showrooms at any time to view our vehicles.